I love writing about sports, particularly about NFL players. Quarterbacks like Brett Favre and Drew Brees have shown that hand size might be more important than height for a quarterback in the NFL. Brett Favre was able to play well even in unfavourable weather conditions and his enormous hands contributed to this. Bigger hands mean you can have a better grip on the ball and have more control when throwing it. 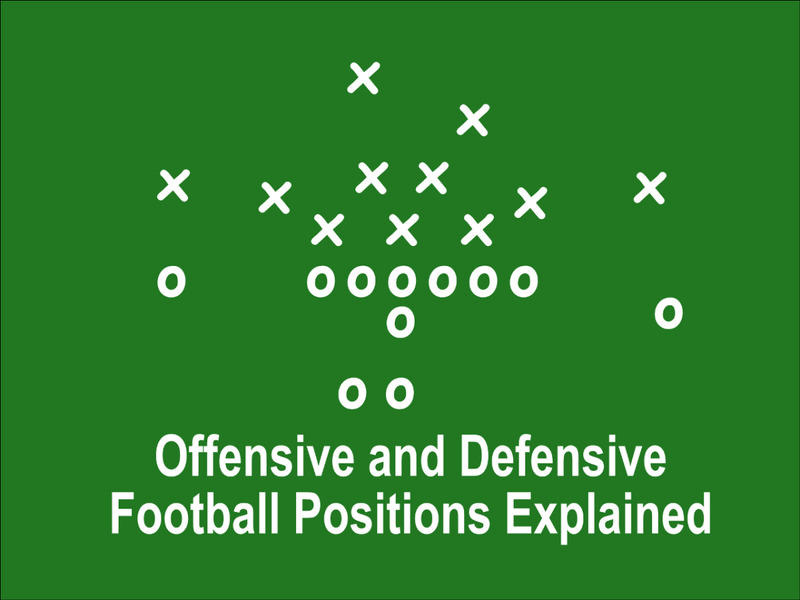 Passers need to be able to control the football at all times. They need to hold onto it in a crowded pocket, pump fake, control it on play-action and direct it with ease as they throw, and big hands allow for all of those things. 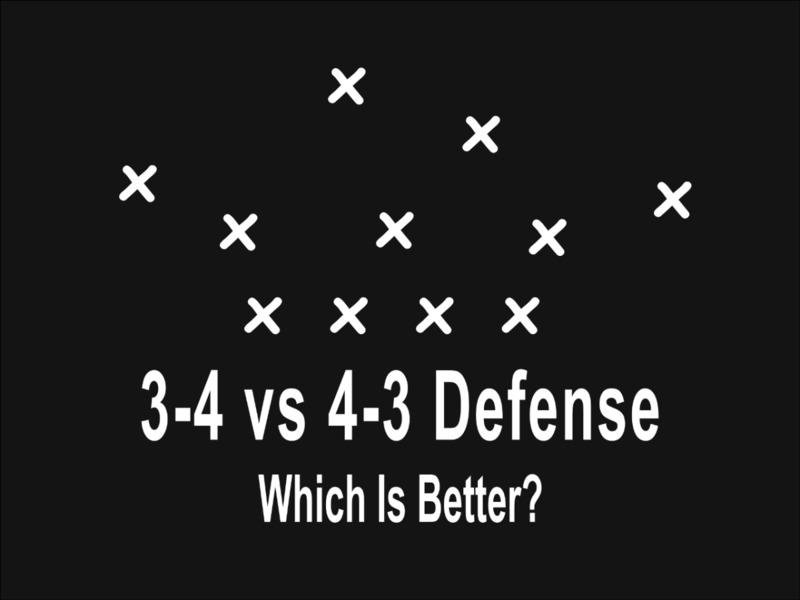 Most NFL teams today prefer their quarterbacks to have a hand span of at least 9.5 inches and are very hesitant to pick a quarterback with a hand span less than that. 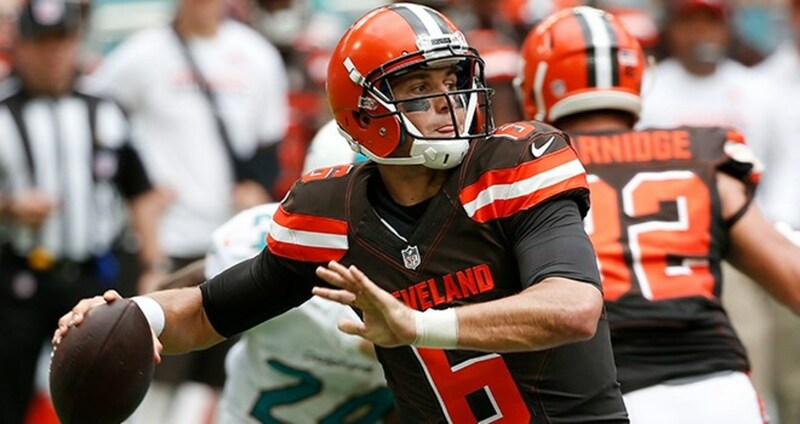 Browns coach, Hue Jackson, is especially particular about the hand size of his quarterbacks and has said he prefers those with hand spans of 10 inches or wider. 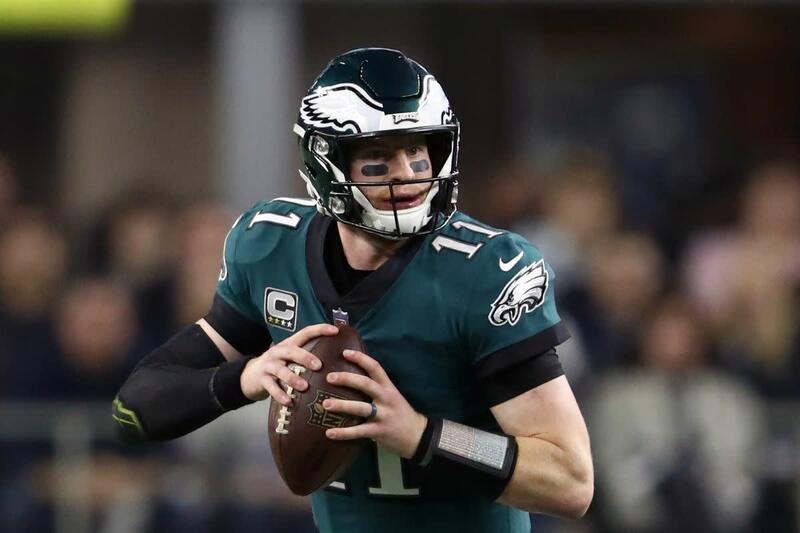 Former Philadelphia Eagles coach, Chip Kelly, even proposed that quarterbacks didn’t thrive because they were tall, but rather because they had big hands. There might be an element of truth to Kelly's reasoning as quarterbacks typically throw through passing lanes, not over the top of their linemen, regardless of their height. This article takes a look at some NFL quarterbacks with the most impressive hand sizes. How Is Hand Size Measured in the NFL? Hand size measurement at the NFL Combine is done by measuring the tip of the thumb to the tip of the pinky finger with the hand outstretched. The number obtained is the player’s hand span or spread. It’s extremely rare for even an NFL player to have a hand span of 11 inches or wider. The largest hand measurement in Combine history is 11.75 inches and the record is shared by DeForest Buckner, Gosder Cherilus, and Mo Alie-Cox. The average male’s hand span is around 8.5 inches. Unfortunately, the NFL doesn’t measure hand length which is another way to measure hand size. It is measured from the base of the palm to the tip of the middle finger. The NBA measures both the hand length and span of players at the Combine. For instance, LeBron James had his hands measured at nine inches in length. The average hand length for a male is around 7.4 inches. It’s very common for people to confuse hand span with hand length and vice versa. An individual’s span is almost always greater than his length. 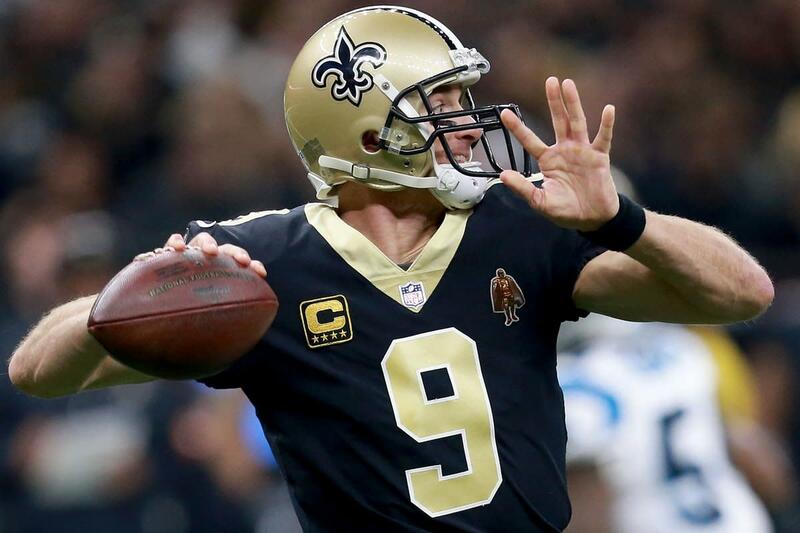 Drew Brees has uncommonly large hands which are 10.25 inches in span. Brees’ hand span is close to the average for a man standing close to 7’3. Amazingly, he stands at 6’0. Michael Vick stands at this height but only has a hand span of 8.5 inches. 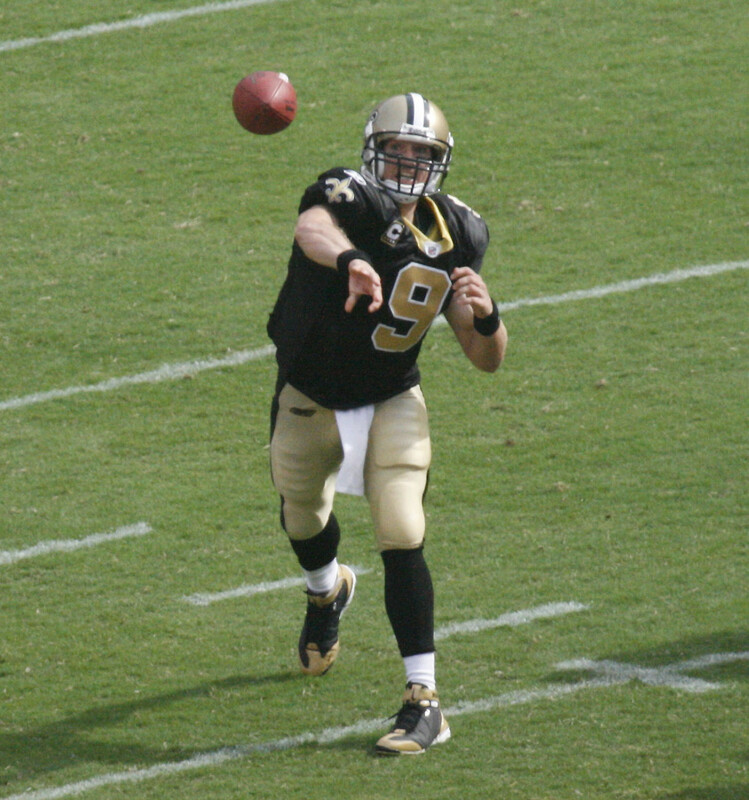 Brees’ hand span is around 18% wider than the average for his height. He has a wider hand span than Brock Osweiler and the same hand span as Daniel McGwire who both stand at 6’8. 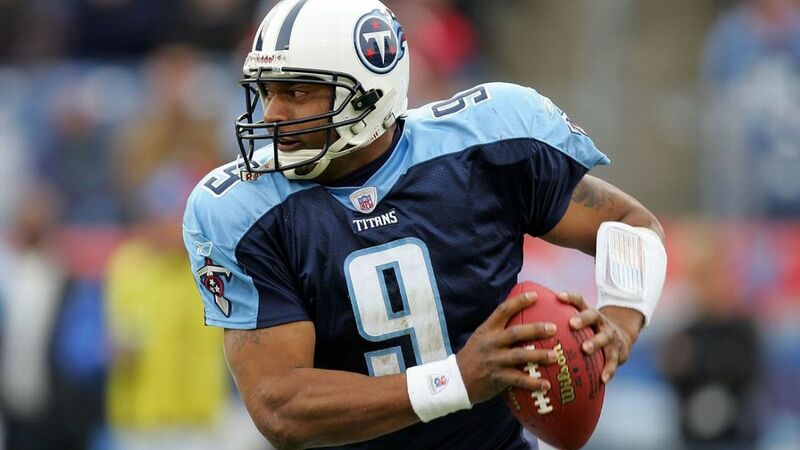 Steve McNair’s hand span measured 10.50 inches. At 6’2, his hand span was roughly around the average of a man standing close to 7’5. The average hand span of a 6’2 man is around 9.2 inches. This means McNair’s hand span was around 14% wider than the average for his height. He had significantly wider hands than Aaron Rodgers and Rich Gannon who stand around the same height as him. Interestingly, his hand span was 14% wider than 6'5 Philip Rivers’. Cody Kessler has a truly unbelievable hand size for someone his height. His hand span is close to 11 inches and this is really mind blowing for a guy who stands at just 6’1. Jeff Blake is just as tall but only has a hand span of 8.50 inches. Kessler’s hand span of 10.88 inches is around the average of a man standing close to 7’8 and is a whopping 21% wider than the average hand span for his height. Matt Schaub is 4” taller than Cody Kessler but surprisingly his span is 16% narrower. 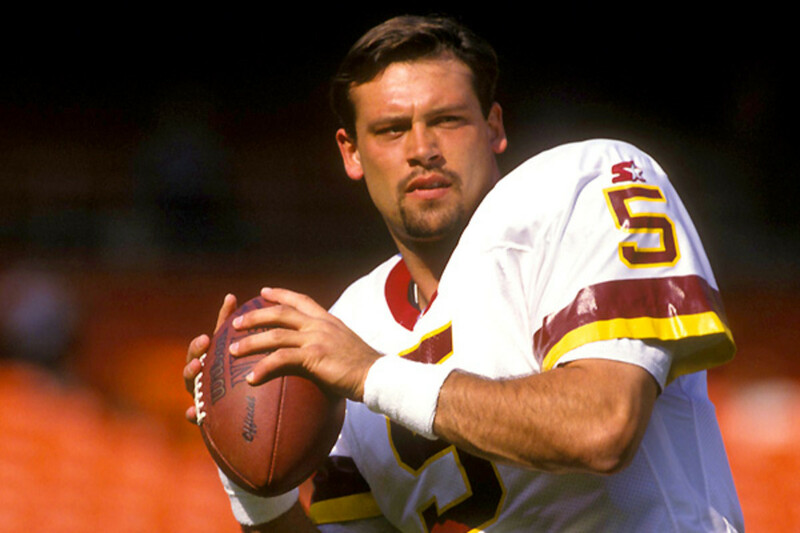 Heath Shuler possesses a hand span of 10.63 inches which is astonishing for a guy who stands at 6’2. Shuler's hand span is about 15.5% wider than the average for his height. Jim Harbaugh and Jake Plummer stand at the same height as him but have hand sizes nowhere near Shuler. Surprisingly, Heath Shuler has a wider hand span than 6’5 Kerry Collins. Russel Wilson is one of the shortest quarterbacks in the history of the NFL but he compensates for this with his huge hands. At just 5’11, he has one of the biggest hands in the NFL. Wilson’s hand span measures a whopping 10.25 inches and is around 19% wider than the average for his height. Interestingly, he has a wider hand span than Eli Manning and Peyton Manning who are 6’4 and 6’5 respectively. At 6’5, Jim Druckenmiller’s hand size is at the extreme for his height. The average hand span of a 6’5 person is around 9.3 inches. Druckenmiller’s hand span measures 11.25 inches and is about 21% wider than the average for his height. 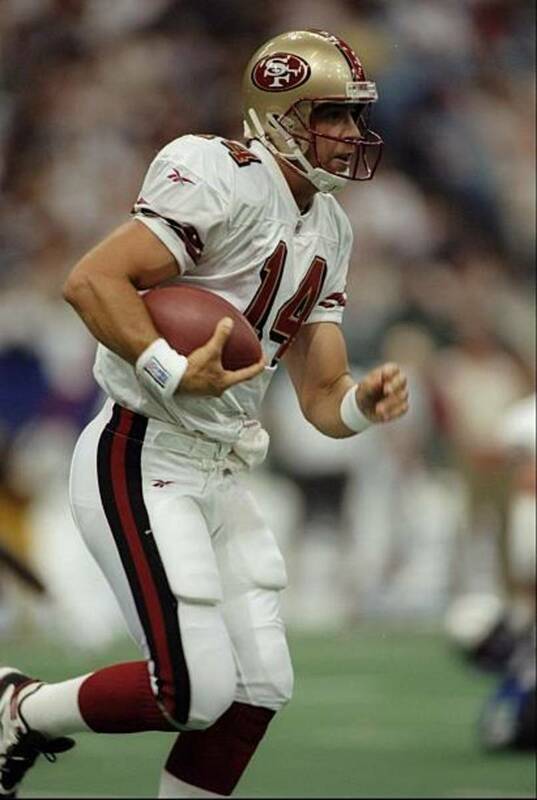 Carson Palmer and Drew Bledsoe stand at the same height as Druckenmiller but only have hand spans of 9.50 inches and 9.63 inches respectively. 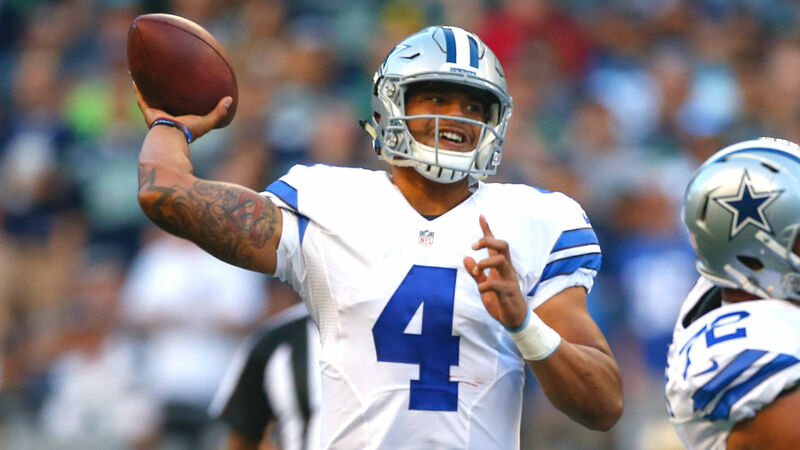 Dak Prescott’s hand span averages that of a 7’8 man despite standing at 6’2. His hand span of 10.88 inches is truly remarkable for someone his height. That is around 18% wider than the average for his height. Prescott has bigger hands than Chris Chandler and Vinny Testaverde who stand taller than him. 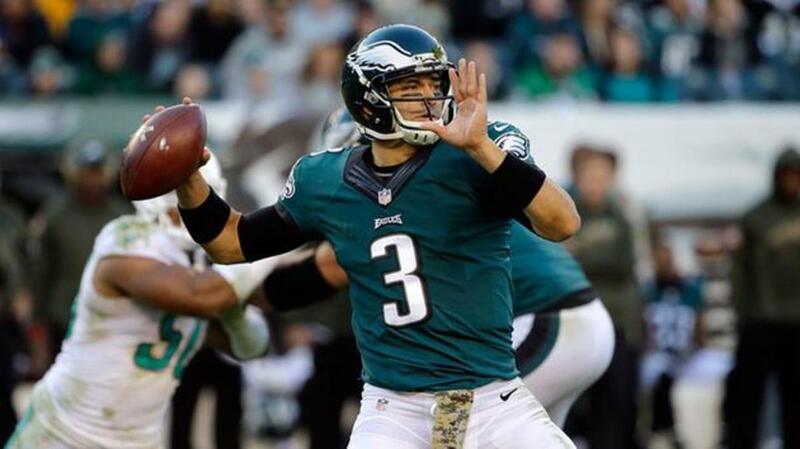 Mark Sanchez’s hand span is 10.50 inches. He stands at 6’2 but his hand span is around the average of a 7’5” man. Sanchez’s hand span is around 14% wider than the average for his height which is about 9.2 inches. Mark Brunell stands around the same height as him but only has a hand span of 9.13 inches. Interestingly, 6’4 Daunte Culpepper has smaller hands than Sanchez. Ryan Fitzpatrick’s hand span is roughly around that of a 7’7” person. He stands at 6’2 but his hand span measures a staggering 10.75 inches. Donovan McNabb stands at the same height but his hands are nowhere near the size of Fitzpatrick's. 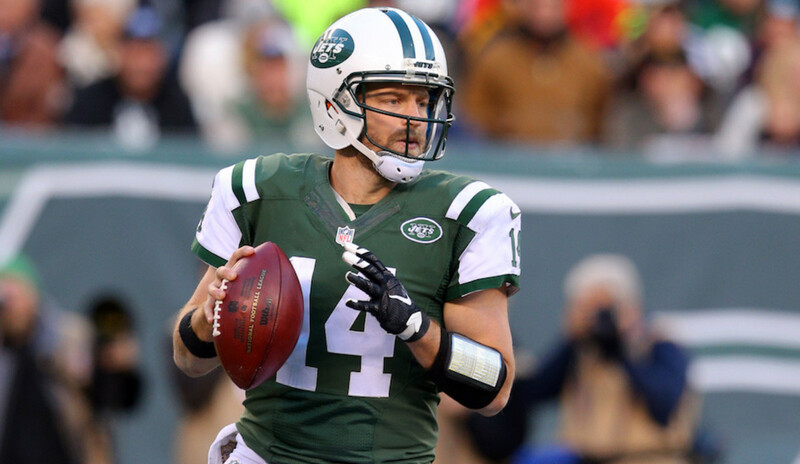 Fitzpatrick’s hand span is around 16.8% wider than the average hand span for someone his height. Astonishingly, Ben Roethlisberger’s hand span is almost 15% narrower than Fitzpatrick’s despite being 6’5. 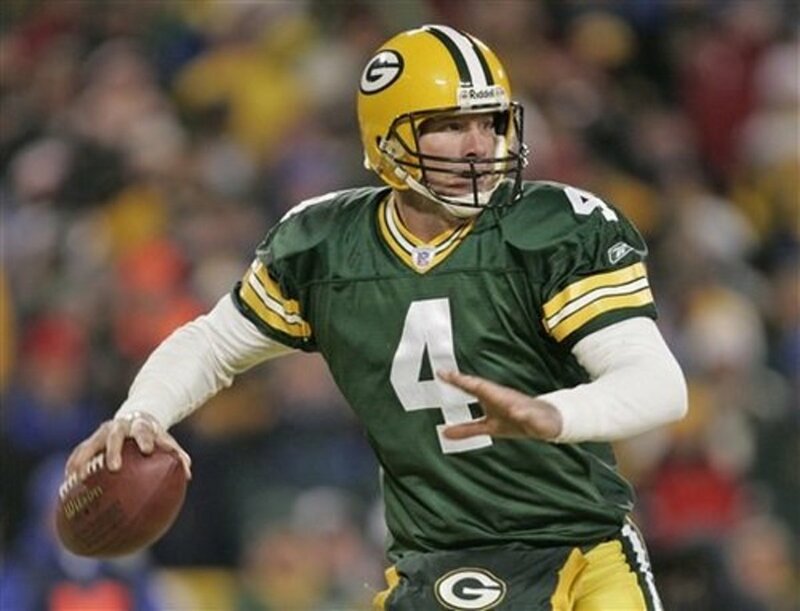 Brett Favre stands at 6’2 but his hand span is around 12.8% wider than the average hand span for his height. His hand span measures 10.38 inches. That’s around the average of a 7’4 man. Favre has a wider hand span than quarterbacks Brad Johnson, Trent Green, Aaron Brooks, Marc Bulger and Steve Beuerlein, who all stand taller than him. This man needs no introduction and is one of the best quarterbacks in the history of the NFL. At 6’5”, Peyton is pretty tall for a quarterback but his enormous hands which are 10.13 inches in span are what really stand out. His hand span is around the average of a man taller than 7’0” with the average for his height being around 9.3 inches. 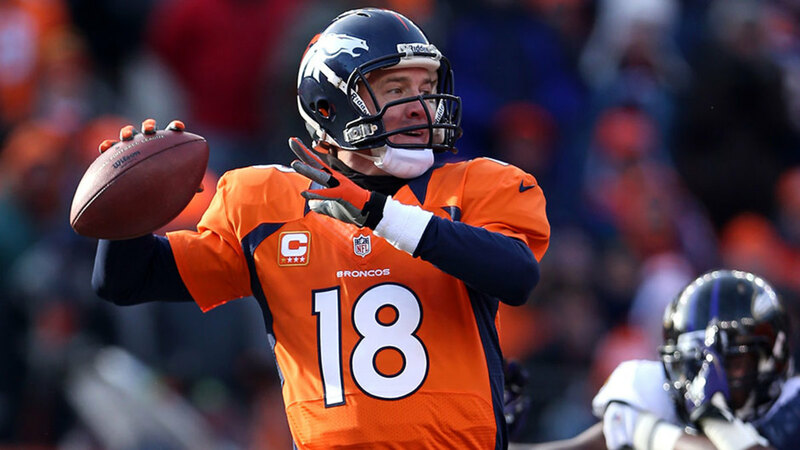 Manning‘s hands are around 9% wider than the average hand span for his height. Quarterback Ben Roethlisberger stands at the same height as Peyton Manning but his hands are quite smaller. 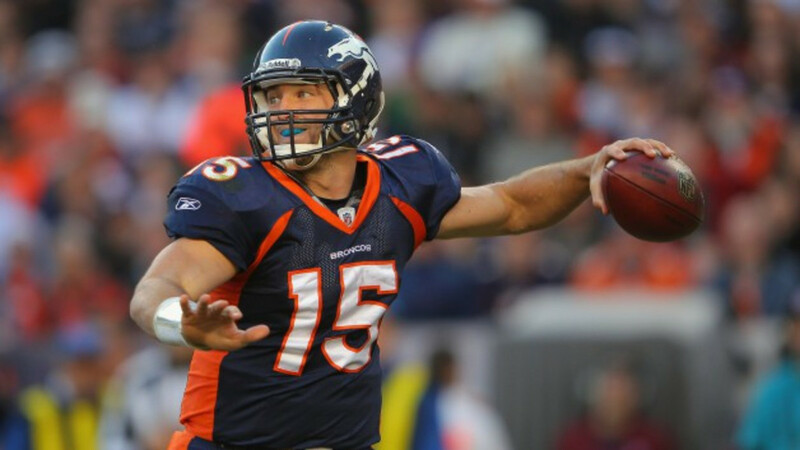 Tim Tebow is one of the greatest quarterbacks in college football history. His hand span of 10.13 inches is truly out of this world for a man who stands at 6’3”. At his height, his hand span should revolve around 9.2 inches making his hand span around 10% wider than the average for his height. Tebow’s hand span is around the average for a man taller than 7’0”. Trevor Siemian and Kirk Cousins who both also stand at 6’3” have smaller hands than Tebow. 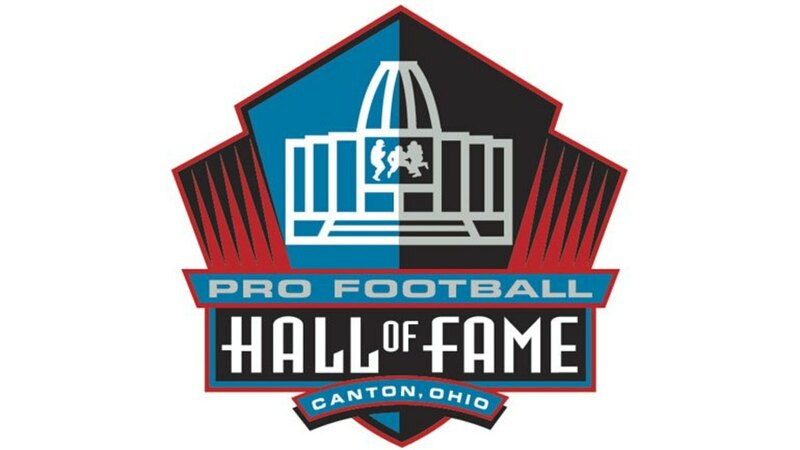 Nick Foles is a really outstanding player and is one of the tallest quarterbacks in the NFL. At 6’6”, Foles towers over the average quarterback and possesses an unbelievable hand span of 10.63 inches. 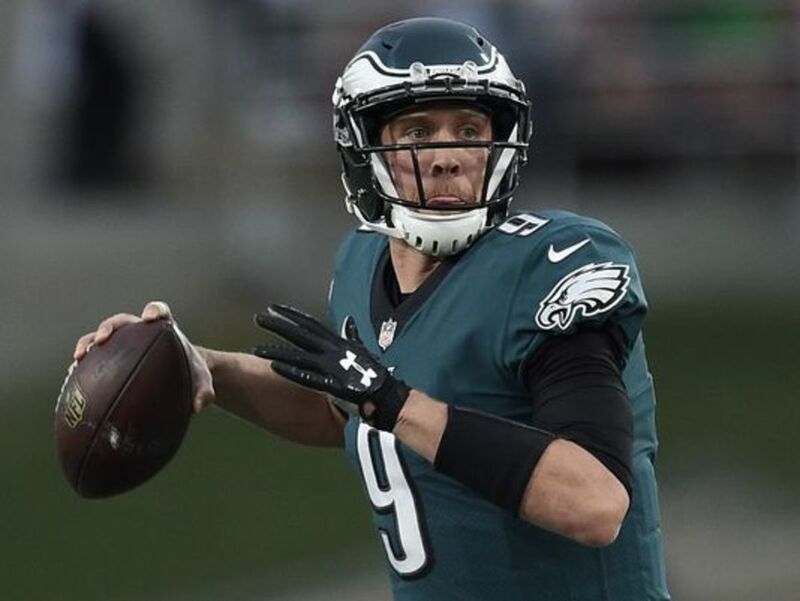 The average hand span of a 6’6” man is around 9.4 inches making Foles’ hand span a whopping 13% wider than the average. Mike Glennon who stands at 6’7” has a hand span which is around 10% narrower than Foles’. With a hand span measuring 10.00 inches, Carson Wentz has some pretty enormous hands. This talented quarterback has a hand span which is around 8% wider than the average for his height. Wentz who stands at 6’5” has the average hand span of a 7-footer. He has significantly bigger hands than Nate Sudfeld and Tyler Bray who both stand at 6’6”. 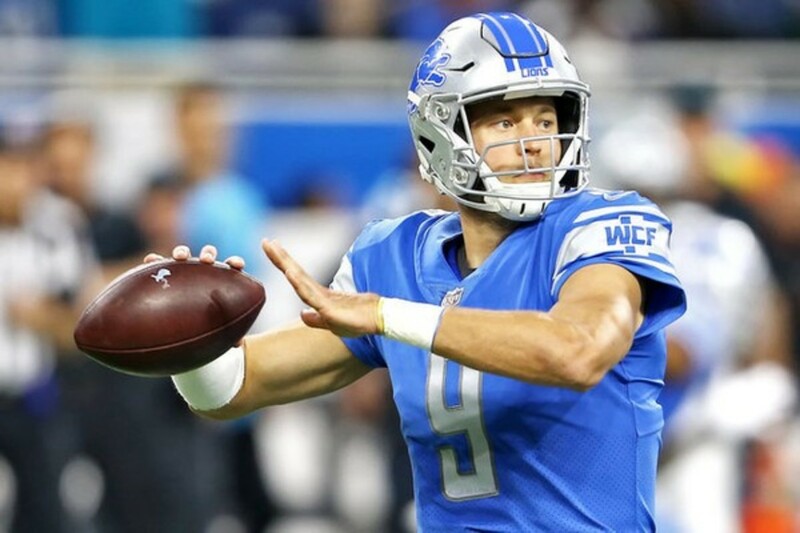 Matthew Stafford is one of the best Detroit Lions quarterbacks of all time. Standing at 6’3”, Stafford possesses the hand span of a 7-footer. His hand span of 10.00 inches is around 9% wider than the 9.20 inches average for his height. Jay Cutler and Derek Carr stand at the same height as Stafford but only have hand sizes of 9.38 inches and 9.13 inches respectively. 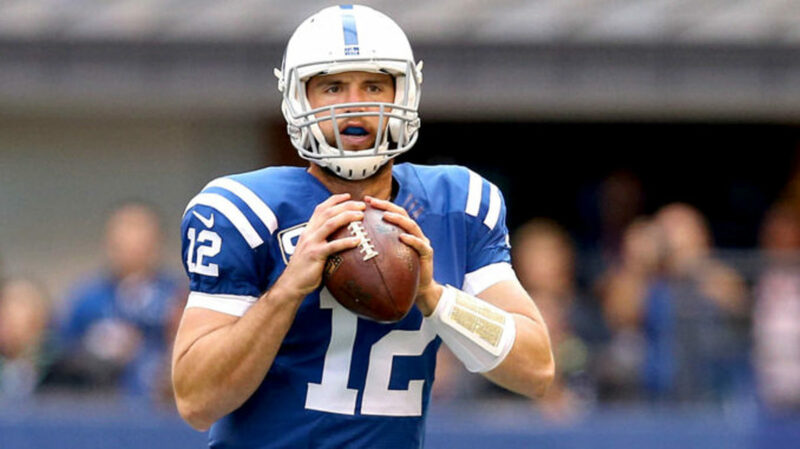 Colts quarterback Andrew Luck is one of the few quarterbacks who can boast of a hand span of 10.00 inches. Luck’s hand size is way above the average for his height of 6’4”. Fellow quarterbacks Jared Goff and Ryan Tannehill who also stand at 6’4” both have hand spans of only nine inches. Interestingly, Andrew Luck has significantly bigger hands than Matt Ryan, Alex Smith, Colin Kaepernick, and Jameis Winston who all stand just as tall as Andrew. Brock Osweiler is one of the two tallest players in NFL history. The other is Daniel McGwire and they both stand at 6'8. The hand span of Osweiler is 9.88 inches. Being tall usually comes with huge hands, so the hand span of Brock Osweiler, though significantly wider than the average span of 8.5 inches, is pretty average for his height. Being tall does not always come with big hands. At 6’3, former quarterback Kliff Kingsbury has a hand span of 8.50 inches. The average hand span of a 6’3 person is around 9.2 inches and hence Kingsbury’s hands are quite small for his height. Players like Chad Pennington also beat the norm by having huge hands for their height. Pennington has a hand span of 10.25 inches. He has the same hand span as Daniel McGwire. Pennington’s hand size is pretty impressive if you consider the fact that he stands at the same height as Kliff Kingsbury. The following quarterbacks have some of the biggest hands in the history of the NFL but were unable to make it on the list. Numbers given are height and hand span. What's T. Y. Hilton's hand size? At 5'9", T. Y. Hilton has a hand span of 8.5 inches, which is the average for a man his height. What is the hand size of Kyle Lauletta? Kyle Lauletta has a hand span of 9.75 inches. At 6'3," his hand span is around 6.4% wider than the average for his height. What is Julian Edelman's hand size? Unfortunately, there is no reliable data on the hand measurements of Julian Edelman. However, anyone who has watched Edelman play can easily tell his hand size isn't all that impressive. He seems to have pretty average hands for a 5'10" guy which means his hand span should be around 8.5 inches. What is Rob Gronkowski's hand size? Rob Gronkowski's hand span measures a staggering 10.75 inches. The average 6'6" man has a hand span of around of 9.4 inches which means Gronkowski's span is a remarkable 14.4% wider than the average. Levine Toilolo is 2 inches taller than Gronkowski and yet Toilolo's hand span is 4.6% narrower. What is the hand size of Jerry Rice? Jerry Rice's hand span measures 9 1/2," which is pretty average for his height of 6'2". What is the hand size of Von Miller? At 6'3," Von Miller has a hand span of 9.25 inches which is average for someone his height. What's Ezekiel Elliot's hand size? Ezekiel Elliot's hand span measures 10.25 inches which is really huge considering he stands at only 6'0". The average hand span for his height is around 8.7 inches. Adrian Peterson stands at 6'1" but his hand span measures only 9.25 inches which is 10.8% narrower than Elliot's. What is the hand size of Zach Ertz? Zach Ertz has a hand span of 9 3⁄4 inches which is slightly wider than the average hand span for his height. At 6'5," his span is around 5.3% wider than the average for his height. What is the hand size of Aaron Rodgers? Aaron Rodgers has a hand span of 9.38 inches. At 6'2", his hand span is pretty average for his height. What is Antonio Brown's hand size? Antonio Brown's hand span measures 9 inches which is quite big for a 5'10" guy. His hand span is around 6% wider than the average for his height. What is Russell Wilson's hand size? 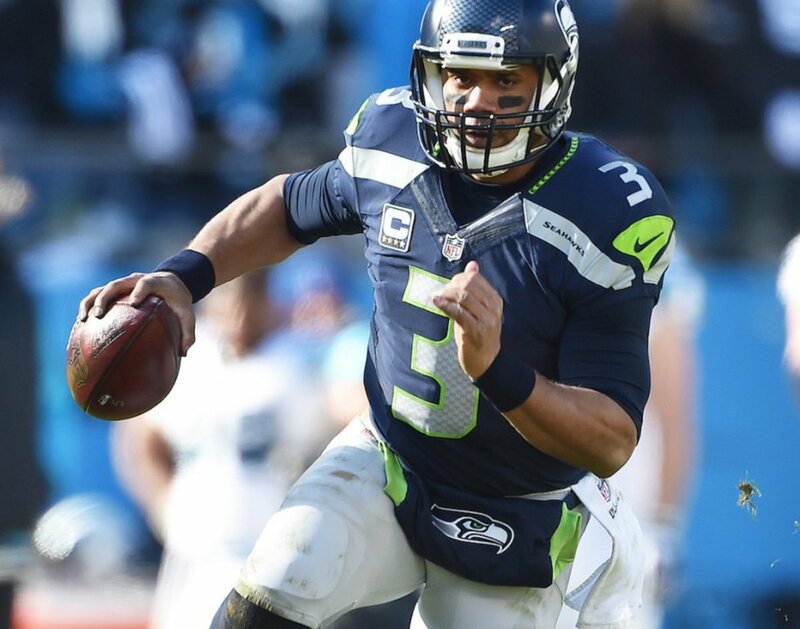 Russell Wilson’s hand span measures a whopping 10.25 inches which is quite unusual for a guy who stands at 5'11". His hand span is around 19% wider than the average for his height. What's the hand size of Jarvis Landry? At 5'11", Jarvis Landry has an unbelievable hand span of 10.25 inches which is a whopping 18% wider than the average hand span for his height. Jarvis Landry has the same hand span as Kelvin Benjamin who stands 6 inches taller than Landry. What is the hand size of Jared Goff? Jared Goff has a hand span of 9 inches which is slightly below average for a 6'4" man. Goff's hand span is around 3% narrower than the average for his height. What is the hand size of Mason Rudolph? Mason Rudolph hand span measures 9 1/8 inches. At 6'5," his hand span is slightly below the average hand span for his height. What is the hand size of Cam Newton? Cam Newton has pretty big hands for a 6'5" guy. His hand span measures 9.88 inches, which is around 6.7% wider than the average for his height. What's the hand size of Larry Fitzgerald? Larry Fitzgerald's hand span measures 10 1/2 inches which is quite large. At 6'3", his hand span is around 14.1% wider than the average for his height. What is Sam Darnold's hand size? Sam Darnold has a hand span of 9 3/8 inches which is pretty average for a 6'3" guy. What is Alex Smith's hand size? Alex Smith has a hand span of 9 3/8 inches which is pretty average for a 6'4" guy. What is the hand size of Odell Beckham? Odell Beckham's hand span measures 10" which is extremely large considering he stands at only 5'11". His hand span is around 18% wider than the average for his height. His hand span is 2.5% wider than Calvin Johnson's who surprisingly stand 6" taller than Odell. Which NFL quarterback has the largest hands ever measured? Jim Druckenmiller has the largest hands measured of any NFL quarterback. Druckenmiller’s hand span measures 11.25 inches and is about 21% wider than the average for his height. What is Tom Brady's hand size? Tom Brady's hand span measures 9.38 inches. Contrary to popular belief, Tom Brady's hand span is pretty average for his height. 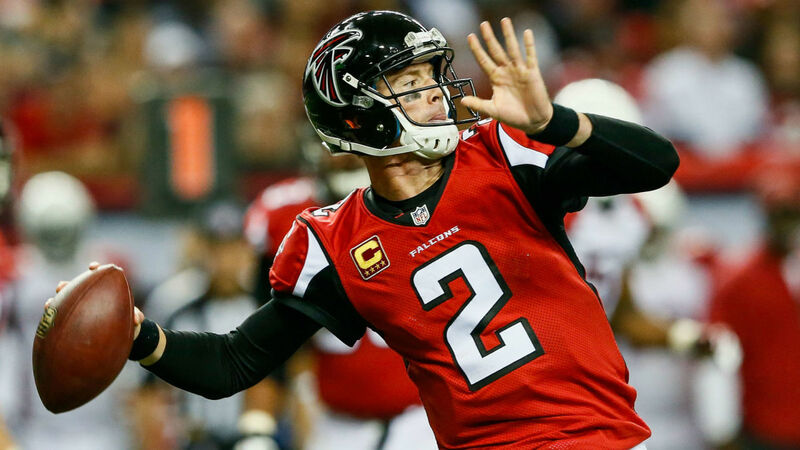 Former quarterback, Chris Simms, stands at the same height as Brady but has a hand span of 10.50 inches which is huge. 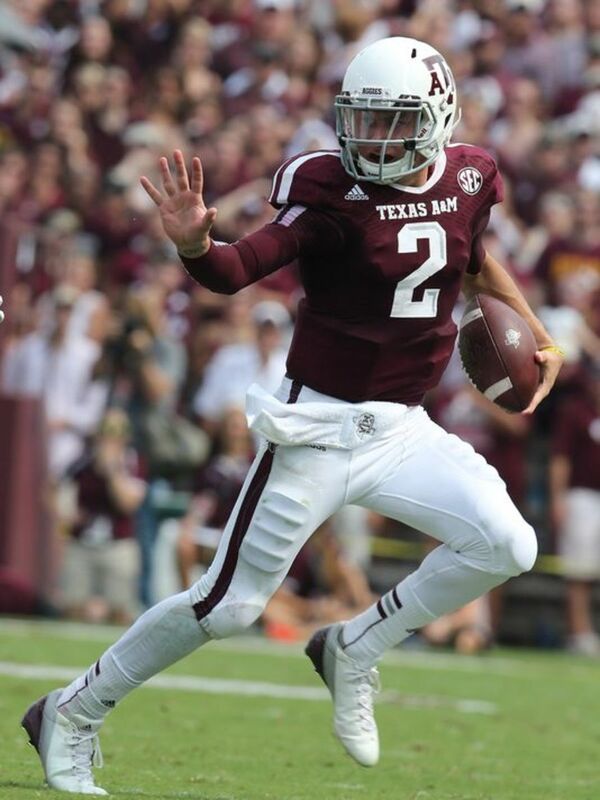 What is Baker Mayfield's hand size? Baker Mayfield has a hand span of 9.25 inches. His hand size is pretty average for his height of 6'1". What's Vance McDonald's hand size? Vance McDonald has pretty big hands for a 6'4" guy. His hand span measures a whopping 10 1/8 inches, which is around 8.9% wider than the average for his height. His hand span is around 5.2% wider than Travis Kelce's, who is an inch taller than McDonald. What's the hand size of Oronde Gadsden? No one can dispute the fact that Oronde Gadsden had huge hands. It was said that he had hands the size of a baseball glove and it was one of the reasons he could pull out those incredible catches. Unfortunately, there is no reliable data on his hand size but it was believed to be the largest of any WR in the NFL. It is safe to say Oronde Gadsden's hand span should be in the range of 10.5 inches to 10.8 inches. What's Paxton Lynch's hand size? At 6'7", Paxton Lynch has pretty huge hands for his height. His hand span measures 10.25 inches which is around 8% wider than the average man his height. What's Julio Jones' hand size? Julio Jones' hand span measures 9.75 inches, which is quite big for a man who stands at 6'3". The average hand span for his height is around 9.16 inches which means his span is around 6% wider than the average. Which NFL quarterback has the smallest hands ever measured? Doug Hudson has the smallest hands measured of any NFL quarterback. His hand span measures only 7.25 inches which is really surprising considering he stands at 6'2". The average hand span for his height is around 9 inches. Russell Wilson stands 3 inches shorter than Doug Hudson but has a hand span of 10.25 inches. 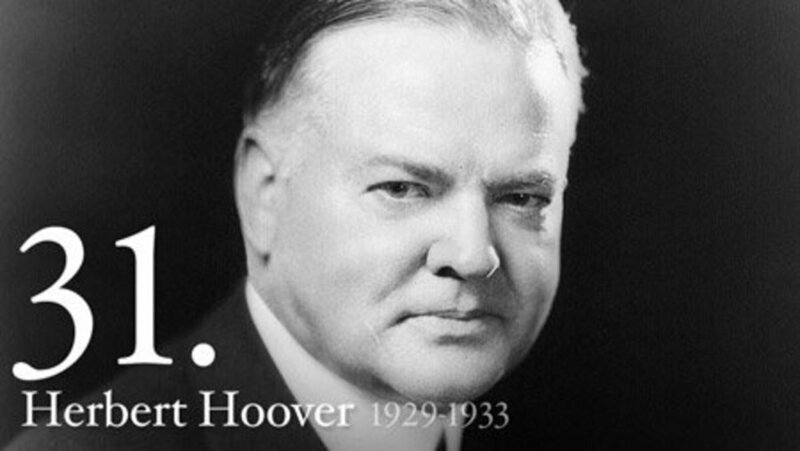 •	John David Booty: 8.50"
Is Colin Kaepernick Being Discriminated Against? 9 -5/8". How much larger than avg for my height are my hands? Thanks.